There’s no question that Bong Joon-ho’s Snowpiercer was my most anticipated film of the year, perhaps of the last few years, and I would have been devastated had it not lived up to expectations. Clearly, I had no need to worry. An ambitious and sublimely realized work, Snowpiercer is the best kind of science fiction - one of grand spectacle and terrifying insight. Though the film features all of Bong’s hallmarks, it is also a wonderful collaboration of international talent. From Marco Beltrami’s multi-faceted scoring and Andrej Nekvasil’s intricate art direction to the terrific lensing of Hong Kyung-po and the expert editing of Stephen M. Chose, Snowpiercer boasts exquisite technical specs. And then of course there’s the cast. Chris ‘Captain America’ Evans does his best work while Tilda Swinton puts in a deliriously entertaining performance. My favorite film of the year and further proof that Bong Joon-ho may well be the best director working today. 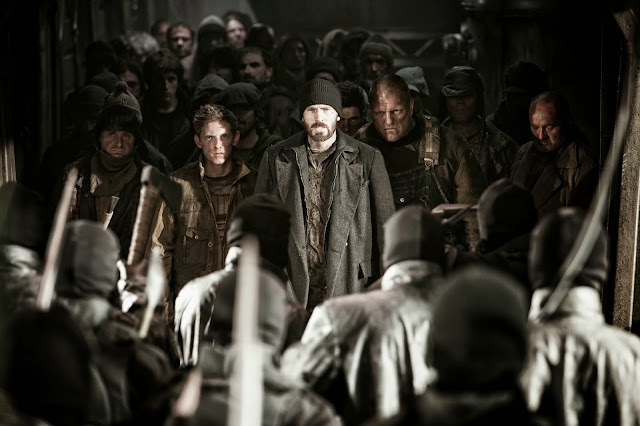 Snowpiercer best movie of the year?? That shows that many people have many different opinions.. It was mildly entertaining but in no way a classic movie.